Forum has earned it’s place in the history of snowboarding by being one of the first snowboard companies built, focused around, and promoted by it’s athletes. By allowing snowboarders to shape and control their product, promotion, and production it hyper-accelerated progression put forth by those athletes, in turn shaping the future of the entire snowboard industry. After an acquisition by snowboarding’s largest brand, Forum brought on the Noct team to handle Art Direction and ensure the original voice of the brand was retained. By working with a company whose ethos was so similar to our own, we made swift work of a full-brand aesthetic update. At the backbone of a product focused brand, lays the need to convey your product personality to a wide range of potential consumers. While retaining all of the irreverence of the Forum brand image, we created a highly functional 120 page catalog and supporting ad campaign that was consumer facing, sales driven, and lead to increased sell-in at retail. To compliment the print campaign sales tools, we redesigned the Forum website with an emphasis on streamlined navigation, improved product presentation, and a handful of hidden content to keep the browsing experience unique with each visit. 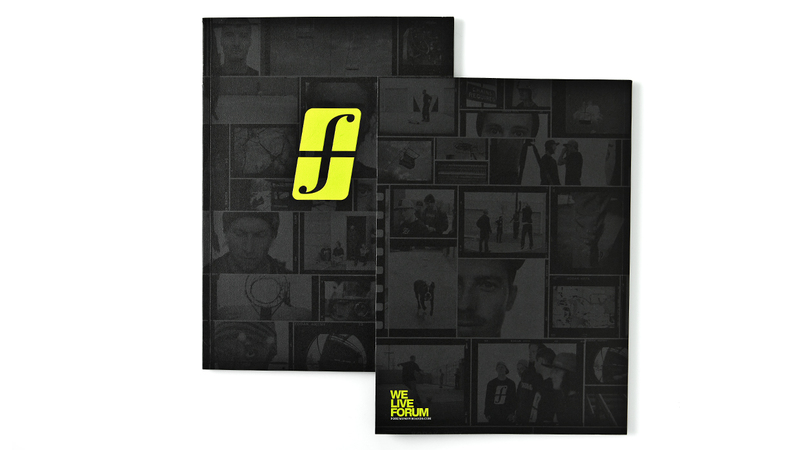 From Snowboard-Mag to Method Magazine, every advertisement opportunity was a chance to expose the exploits of the Forum team. With a full season of footage, we created an ad campaign that embraced the snowboard lifestyle as much as the act of riding itself. Each ad conveyed the personality and style of Forum team members to depict one of the most progressive teams in the game and with riders like Pat Moore, Stevie Bell, Austen Sweetin, and Nico Cioffi, it wasn’t hard. When the lights turned on at the annual SIA Snowboard Convention, it was apparent that Forum had finally matured as a brand. With a backlit neon logo rising above the competition, Forum became a beacon attracting a steady audience of fans eager to view the companies newest offerings. Noct executed the full environmental redesign, product merchandising, and aided in the on-site installation to ensure no detail was overlooked. After a short 12 months together, we completed the last items on a checklist for brand success. 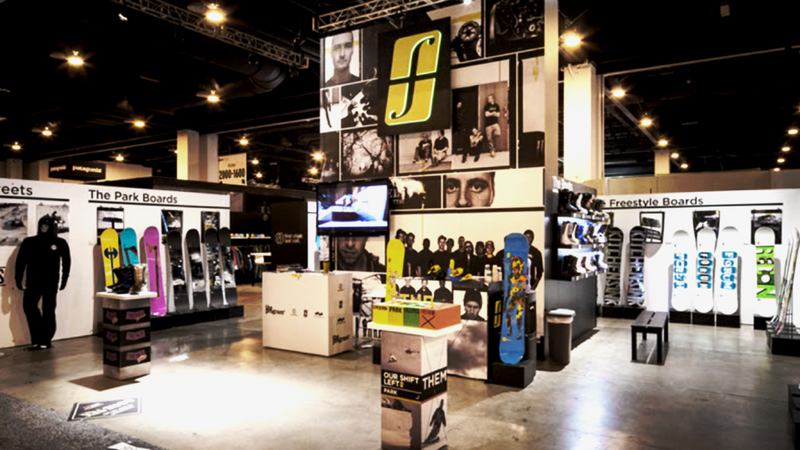 With a new dealer book, website, ad campaign, softgoods collection, brand film, and a redesigned identity Forum was ready to continue it’s legacy of snowboarder-driven progression.